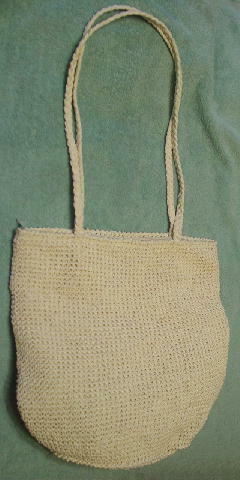 This vintage large woven tote is in a creamy bone color. It feels like a straw mixed with a synthetic fiber. 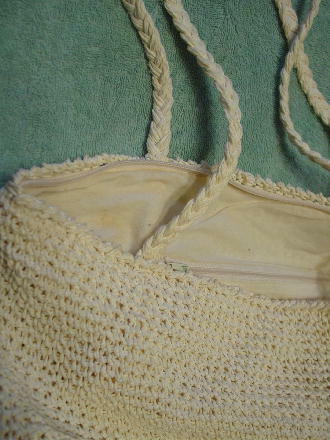 There is an antique white full fabric lining and an interior zippered pocket. The lining has some age (apricot color) discoloration spots. It has a top side to side zipper and two 34" long by 1/2" wide handles (16 1/4" drop). It's from a stylist's inventory, and was used in several photo shoots.